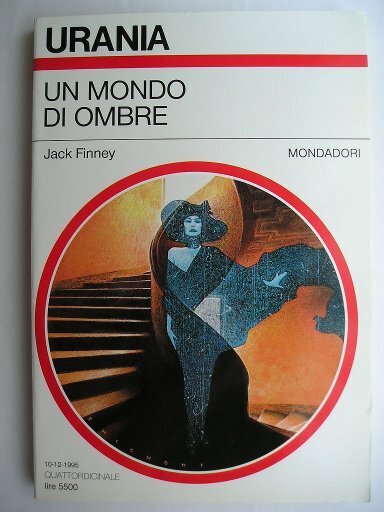 The novel “Marion’s Wall” by Jack Finney was published for the first time in 1973. Following his father’s advice, Nick goes to live with his wife Jan in an old house in San Francisco. While they are removing the old wallpaper, on a wall they find a phrase written by one Marion Marsh in 1926. Some time later, Nick and Jan watch an old movie on TV, one of the few in which Marion Marsh had a part. Suddenly, Marion’s spirit appears to Nick and then takes possession of Jan’s body because she wants to go to Hollywood and at last become a movie star. 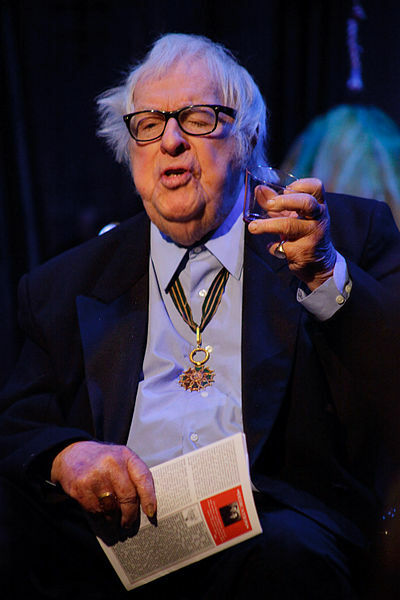 The great writer Ray Bradbury died last nigh. Ray Douglas Bradbury was born on August 22, 1920 in Waukegan, Illinois. He was particularly famous for the stories of the “Martian Chronicles” and the novel “Fahrenheit 451” but he wrote a lot of science fiction, fantasy and horror stories. 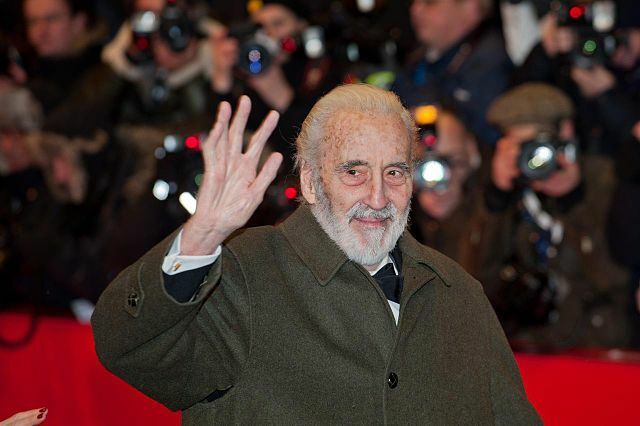 Christopher Frank Carandini Lee was born May 27, 1922 in London, England. He became famous for his roles in horror movies, particularly as Dracula. However, in decades of career, he had roles in move and TV productions of all kinds. In recent years, he had roles in the Lord of the Rings trilogy and the Star Wars prequels. 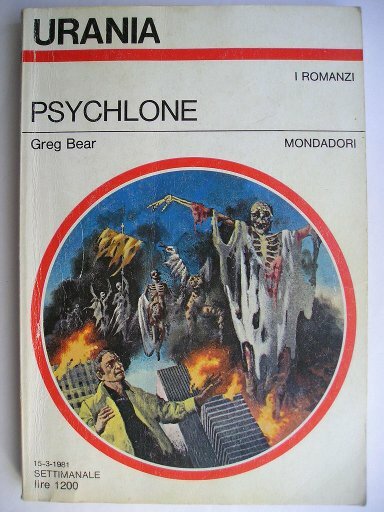 The novel “Psychlone” by Greg Bear was published for the first time in 1979. Larry Fowler is invited by his old friend Henry Taggart to try to make objective measurements of strange poltergeist phenomena. Fowler is skeptical but he sees really extraordinary phenomena. Some days later, Taggart and his father die in a homicide-suicide case and Fowler thinks there’s a connection with the poltergeist phenomena so he goes back to investigate. “The Walking Dead” is a story set in a post-apocalyptic world where an infection turns corpses into zombies, causing the collapse of civilization. The only way to permanently kill a zombie is to hit its brain. This is my review of its second season.